Crystal-clear water – this is what most of us want in a pool. However, how is this possible? The rest of this post has the answer. By keeping in mind the things that will be mentioned below, the pool will be more inviting. Not to mention, when the quality is preserved, your health won’t be at risk! The mere mention of chemicals can make people cringe. In the case of swimming pools, chemicals are actually important. They assume a critical role in making sure that the water remains clean and fresh. The two most important things to check are the pH and the chlorine. Chlorine is important since it is the one responsible for getting rid of bacteria and germs. On the other hand, the pH level will ensure that the chemicals will be absorbed by the water in your swimming pool. 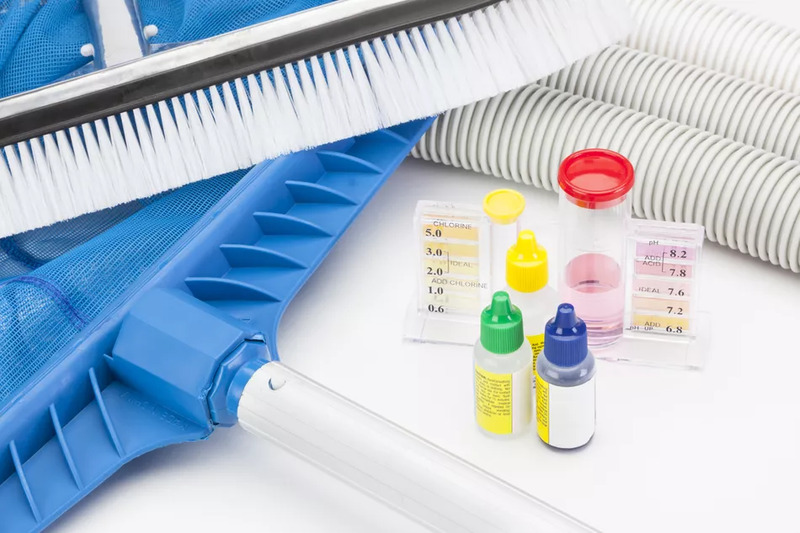 There are pH testing kits that you can buy for ease of monitoring. Meanwhile, a saltwater chlorinator will come handy in keeping the chlorine in check with the use of table salt. Skimming the water is an important part of swimming pool care and maintenance basically because it gets rid of leaves, dead insects, oils, and other debris that can be seen floating. If you have an inground pool, the skimmer will be built-in on the side walls. It has a suction that draws the dirt out of the water. 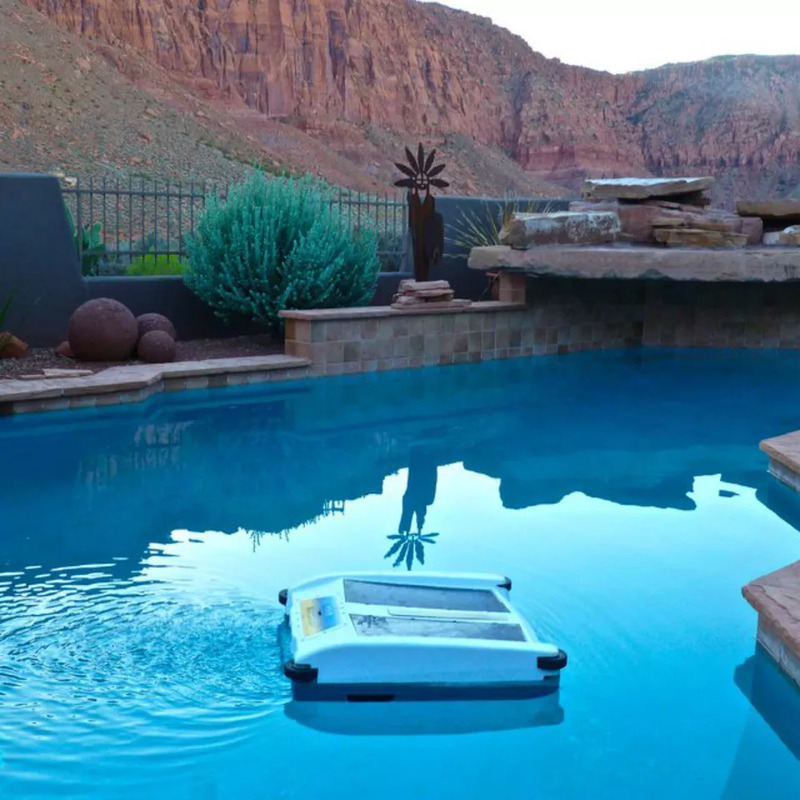 If you have an above-ground pool, on the other hand, you can use a robotic or floating skimmer. The latter is not a permanent fixture of the pool and can be placed in the water only when it needs cleaning. The skimmer will be responsible for the removal of the large debris, specifically the ones that cannot be handled by the swimming pool filter. Simply put, shocking refers to the process of adding a large amount of chlorine in the pool to get rid of the funky smell and to make sure that the water remains clear. This will also be effective in killing the algae that are possibly present in the pool. Shocking is especially important after a pool party or heavy use. It restores the quality of the water to guarantee freshness the next time it is used. The process of shocking usually starts by checking the chemical content and vacuuming it. It is also recommended that you do the shocking at night as exposure to direct sunlight will make the chlorine dissolve quickly. In a bucket of water, add chlorine and pour it in the pool. The size of the pool will determine the amount of chlorine that you will need for this procedure.